It wasn’t long ago that the number of fatal pedestrian accidents in San Francisco made it one of the most dangerous cities in the country for walking. (That’s more than a little ironic because San Francisco was also voted the second most walkable city in America.) This forced city planners to reevaluate long-standing priorities. Currently San Francisco is undergoing a massive revamping of its infrastructure. The goal is eliminating all traffic fatalities. To that end the MTA and other city organizations have been actively (some would say feverishly) plotting and executing improvements along the most dangerous streets in San Francisco. But are all these changes working? While 2016 is only reaching its half-way point, San Francisco has already racked up more fatalities than over the same time period in the last two years. As of March 2016 there had been 12 fatal pedestrian accidents in San Francisco. That’s almost half of last year’s total (31). Compared to historical data the difference is startling. In 2015 during the same timeframe there were only nine fatalities. In 2014 there were just four. That’s a 33% increase. If this trend carries through the rest of 2016, the number of fatal pedestrian accidents in San Francisco could be shocking. The MTA hasn’t been sitting on its hands. While some of the major improvement projects (like the $18 million Masonic Avenue Streetscape Improvement Project) have been stalled in the planning process, the MTA has completed 30 major renovations since 2014. The organization uses San Francisco pedestrian accident data (collected by Department of Public Health) to determine where these resources should be allocated. Is The SFPD Doing Its Part? In addition to the physical improvements on city streets, the SFPD has boosted patrols along these high-injury corridors in an effort to prevent pedestrian accidents in San Francisco. But data shows that the SFPD enforcement has been spotty over the first portion of 2016. While the SFPD has dramatically increased the number of citations issued for failure to yield and speeding, it has actually issued 22% fewer citations overall despite of the emphasis on pedestrian safety. To be fair, speeding is the number one contributing factor to any pedestrian accident in San Francisco and failure to yield is one of the most common accident types observed. But is increasing the number of citations for certain violations while seemingly ignoring others wise? Some safety advocates say the city is still not putting pedestrian safety as its top priority. Certain plans have been criticized for protecting parking spots rather than pedestrians. Other projects have been bogged down by excessive red tape and bickering. And when confronted by contradictory statistic, proponents of the vision Zero improvements say it’s too soon to tell if these projects are “statistically” effective. But Ed Reiskin, transportation director for the MTA, told the San Francisco Chronicle that safety improvements aren’t enough. “There are behavior issues at play here,” he said. “We need everyone in the city to be careful and mindful about how they’re getting around.” Only through effective engineering, enforcement, and outreach can the Vision Zero goal be achieved. 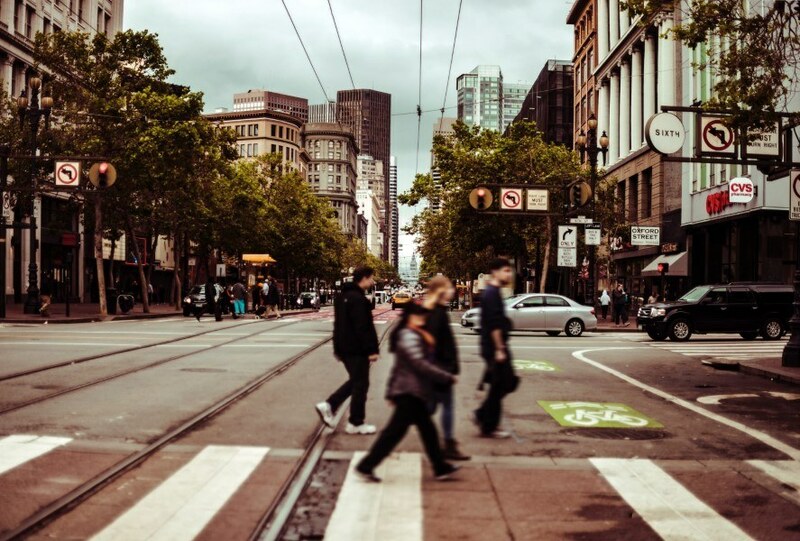 If you’ve been injured whiles crossing the street, exiting public transportation, or simply walking on the sidewalk, speaking with a San Francisco pedestrian accident attorney may be your best option. To find out if you have a case quickly and easily, get a FREE case evaluation now.